MPH Industries is proud to introduce the Muvi LE, a compact, body-worn video recorder that documents everything the officer sees and everything the suspect says. The small unit is a complete video system, with wide-angle color camera, internal microphone, and battery. Recording can be activated by voice command or by pressing the record button. The video can be downloaded and played on any computer with a USB port. • It accompanies the officer wherever he goes: to domestic disturbances, traffic stops, or drug arrests. 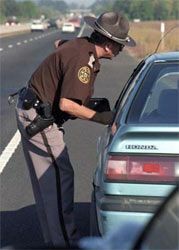 • It sees what the officer sees, records the presence of any contraband in a suspect’s home or vehicle. • It films field sobriety tests, searches of the suspect or premises, and arrests. • It records interviews with suspects and witnesses, and documents everything that is told to the officer. • It’s especially useful for motorcycle and bicycle patrols. The officer has full control of when the unit records and when it is off. Mr. Broxon continued, “Agencies purchase the Muvi LE for two main reasons. First is the quality of the evidence it captures – it documents the probable cause and creates iron-clad cases. The second reason is the protection it gives the officer and the department, protecting them from false allegations. Officers especially like the degree of freedom it gives them – they can turn it on when needed, and turn it off when handling personal business. They see it as a tool to make their job easier, and way to document their professionalism.” For additional information on the Muvi LE contact your MPH representative, or visit our website www.mphindustries.com/video_imaging.php?product=muvi to learn more about the Muvi and see actual video recorded by the system.